Bridge is a wonderful game. It is enjoyable, challenging, social and endlessly fascinating. The appeal of bridge is proven by the enthusiasm of club members, many of whom play once or twice a week throughout the year. Better still, it is inexpensive, with many clubs charging just a pound or two for a full evening session. At the same time, most bridge players will be aware that of the aging demographic in our game. This is a global phenomenon and there are many reasons, ranging from the distractions of the Internet to the fact that bridge takes a bit of effort to organize, requiring not only tables and equipment but also the right number of people to play. 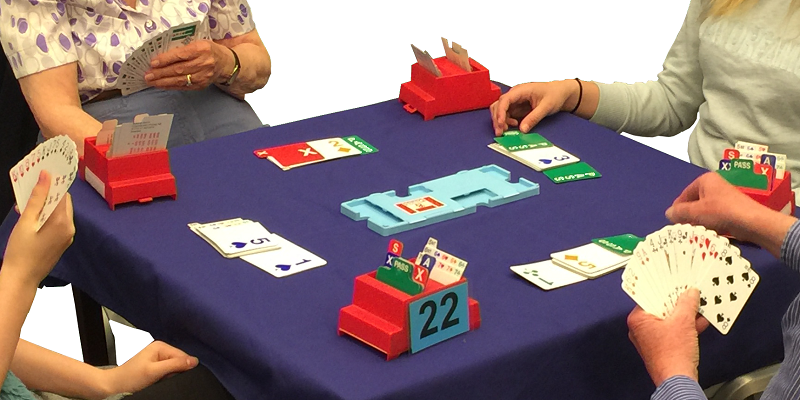 Further, while bridge is not a difficult game to play (though challenging to play well), it needs teaching and cannot be picked up an hour or two. There are two reasons why there is an urgent need to bring more people into the game. First and most positively, bridge is beneficial in all sorts of ways. Research suggests that it is good for our health, but perhaps even more important is that it is good for our quality of life. Learn bridge and you need never be bored again. Whether you are a young person with time on your hands, or an older person looking forward to retirement, learning bridge is a fantastic investment that is repaid many times over. Bringing more players into our clubs is good for the community. Second, if we do not introduce more members to our clubs, their very survival is under threat. Bridge players may live longer than most, but the truth is that every healthy organisation must have new members joining to match those who move on for whatever reason. There is data elsewhere on this site that explores this in depth, showing that we must take action now to keep the game of bridge vibrant and enjoyable for the future. If you would like to know more about how to increase the membership of your club, please do contact us now.